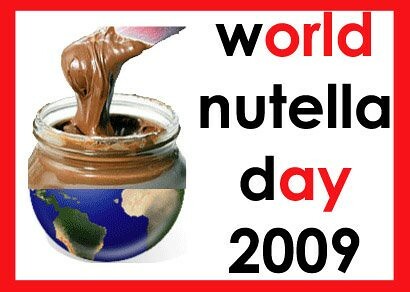 Today, February 5, 2009, is World Nutella Day! Check it out at the Ms Adventures in Italy, Bleeding Espresso, and World Nutella Day websites! People all around the world are celebrating this sweet treat today. So I knew from the moment I discovered this wonderful holiday that I had to take part in it and celebrate. My first experience with Nutella took place while I was a high school exchange student in Nantes, France. My sweet exchange family – les Lorieux – were so wonderful to me and wanted to expose me to all of the wonders of French cuisine. For breakfast on one of my first days with them, they toasted thick slices of fresh brioche and smothered them with creamy, rich Nutella. That was it – I was in love! 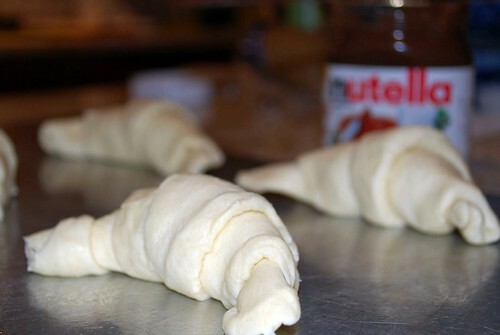 So I decided to come up with a fun and easy recipe involving Nutella that would be easy for all of my readers to make: Nutella Croissants! Dear readers, if you’ve ever seen the movie Sleepless in Seattle, you’ll know why we call this combination MFEO – Nutella and croissants were Made For Each Other!!! They turned out to be soooo delicious – no surprise considering Nutella is involved. Flaky, tender, buttery croissants with that rich, gooey, hazelnut-chocolate pillow hidden on the inside. We had them for dessert, but they would also be a wonderful addition to brunch, or just a tea time snack! Preheat your oven to 350 degrees. Spray a large baking sheet with cooking spray and set aside. 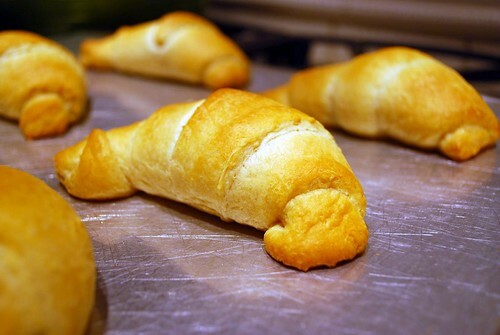 Open the tube of crescent rolls, and unroll and separate your triangles of dough. Place 1 heaping tablespoon full of Nutella at the base of each triagle. 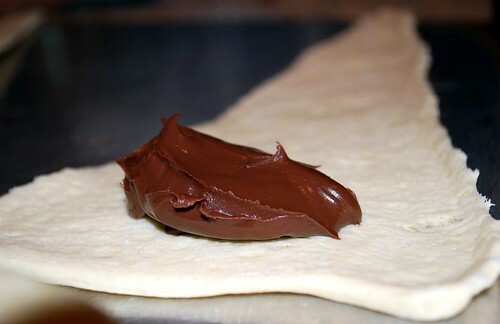 Roll the dough into a crescent shape and place on the prepared baking sheet. Bake for 14-16 minutes, or until golden brown. 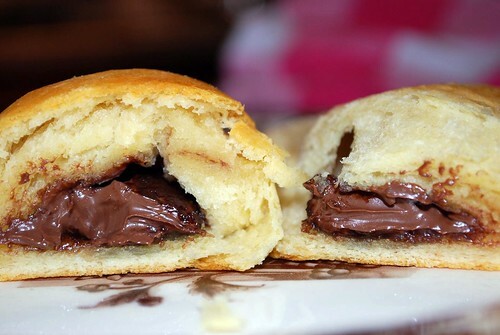 Enjoy this tasty treat, but don’t burn your tongue on the Nutella! !